Have you always thought red was a pretty color, but you worried it might look unnatural? Not every shade of red is a blazing cherry hue or a wild orange, and ronze proves you can wear red shades in a delightfully natural way. But what is ronze? It’s simply a melding of red and bronze tones in hair. Think of it like a deeper version of natural copper red hair. It’s a red with more shimmery brown tones as a base. And it works on everyone. What this deeper red shade does is makes a natural-looking red more accessible to a larger amount of people. If you have dark hair, and you’ve ever tried to dye your hair copper red without bleaching it first, you’ve probably ended up with an orangey-brown mess. Even with bleach and bright copper dye, root upkeep can be extreme if you have naturally dark hair. Dark roots and brightest copper hair don’t mix. 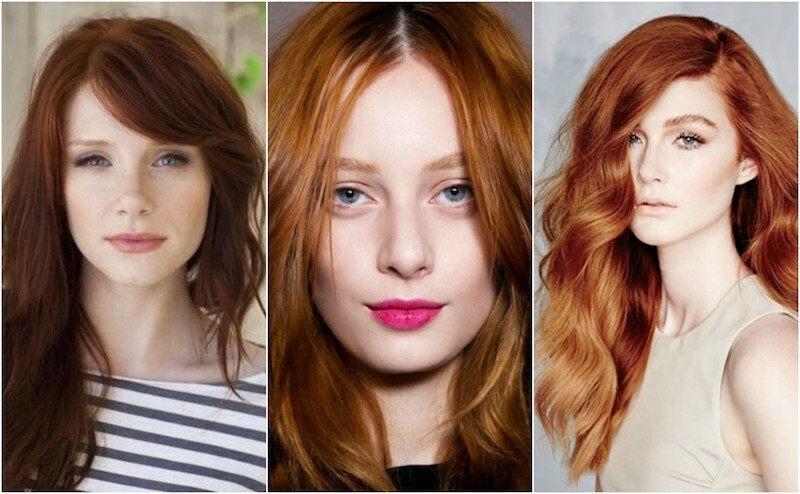 Copper red also tends to look more natural on people with pale complexions. Adding tones of bronze makes for a shade that fits on all sorts of skin hues due to the more grounding tones of brownish bronze added. So are you ready to take the dive yet? Just make sure to do a strand test so you know how the dye will work over your current hair color. A huge benefit of ronze hair is that it is far easier to upkeep than the brighter shades of red. Red has a very warranted reputation for fading the fastest of the hair colors. Sunlight, hot water, shampoo and chlorine all fade red hair. The minute you dye your hair a bright red, it’s a constant job of color-depositing conditioners and avoiding the sun to save that red. Ronze hair is a bit different. Since it’s verging on a shade of brown, it needs slightly less upkeep. Shades of subtle copper tend to stick a bit better, since you’re not trying to fight as much color into your hair every day as with the brighter red shades. That being said, you still will have to get a good color-preserving shampoo and conditioner. There are even products out there for copper tones, like Davines Alchemic Copper Shampoo. What exactly is rainbow hair stenciling?